There’s a fairly good chance you’re old enough (but not too old) to remember the phrase “Holy Cow, Batman!” The reason I bring this up is because the world of energy in whatever city, Gotham or otherwise, you happen to live in is more exciting, daunting, and incredible than any of us could have ever imagined. Whether you believe it or not, you are one of the most important super heroes of our time. Why? Because you are part of the world’s ‘energy team.’ Guys and gals like you and me are not only working hard to provide affordable, reliable, and efficient power to support our information-based society, build viable economies, and even pump water to grow crops, we’re also being called upon to save the planet. This is the work of super heroes and there is much work to be done. At the end of last year, despite a tragic attack on the City of Paris, over 40,000 representatives of the ‘energy team’ got together in the ‘City of Lights’ to discuss climate change and energy. While these discussions essentially began in 1992 at the Earth Summit in Rio de Janeiro, where the United Nations Framework Convention on Climate Change established an environmental treaty to ‘stabilize greenhouse gas concentrations in the atmosphere at a level that would prevent dangerous anthropogenic interference with the climate system,’ it took several years for many of us to fully appreciate the magnitude of the task at hand or the impact the use of fossil fuels actually has on our climate. Looking back, earlier scientific discussions about ‘global warming’ seemed rather academic. It really wasn’t until we witnessed the impact of superstorms Katrina and Sandy before ‘climate change’ became more real. Exactly one year after Sandy hit the eastern shores of the United States, typhoon Haiyan, the strongest typhoon in recorded history, slammed into the Philippines. No matter what your current feelings are regarding climate change, you have to admit, we own it now. Like anything else, if we own it, it will cost money and require management. This would be relatively easy if it weren’t for the magnitude of the problem and that fact that some countries and economies are more capable than others. The good news is that the world is getting smaller and there is generally good collaboration between those who have and those who need. Think about all the investment USAID, EXIM Bank, World Bank, Asia Development Bank, China EXIM, JICA, MCC, OPIC, and other government banks are making globally. Add to that the regional investments being made by large privately held investment banks. As policies and mechanisms evolve, the money will certainly become available. With that said investors and utilities like to see good returns on their investments. Over the years, this included spending money to improve the efficiency of generators. It was also common to see utilities spend more money on higher quality more efficient transformers and other devices, all of which served to reduce fuel consumption and improve life cycle costs and, at the end of the day, save money. These investments, in many cases also offered environmental advantages. As the permitting process to build new conventional generation became more daunting, many power companies turned to the demand side for help. This represented opportunity for innovation. While the train took a fairly long time to leave the station, it is moving at a good pace today. A few examples to come, but first, think about the good old fashion incandescent light bulb. It didn’t look much different in 1905 than it looked 100 years later in 2005. Then – out of seemingly nowhere – we jumped to fluorescent lightbulbs and, more recently, fast forwarded to LED. The train is moving faster today, but earlier mandates and financial incentives provided to consumers to improve demand side appliances such as refrigerators, simply moved these appliances out of the kitchen and into the garage. Raise your hand if you’re guilty. I certainly was. As a class of technology people are using to bring utility electricity delivery systems into the 21st century, using computer-based remote control and automation. These systems are made possible by two-way communication technology and computer processing that has been used for decades in other industries. They are beginning to be used on electricity networks, from the power plants and wind farms all the way to the consumers of electricity in homes and businesses. They offer many benefits to utilities and consumers — mostly seen in big improvements in energy efficiency on the electricity grid and in the energy users’ homes and offices. This is becoming increasingly more important as we work to convert or shut down many older base-load coal plants. Though we are working hard to make the transition to cleaner sources of generation, in much of the world the electric grid is substantially aged and limited, and the development of new lines is very difficult. The grid, not unlike the incandescent light bulb, looks much the same today as it did over 100 years ago. Have you heard about ‘high-capacity, low sag’ (HCLS) conductors? The reason I ask is because many ‘energy team’ people I speak to (that includes policy makers and regulators) never have. A number of line designers may have, but they generally call these ‘high-temperature, low-sag’ (HTLS) conductors and only consider them when faced with NERC sag violations or similar challenges. After all, higher conductor temperatures equate to higher line losses. The news is that while the HCLS conductors such as Aluminum Conductor Composite Core (ACCC) are capable of operating at very high temperatures during emergency conditions, they are actually about 30 percent more efficient than conventional Aluminum Conductor Steel Reinforced (ACSR) conductors of the same diameter and weight under any load condition. This is because they use higher-strength, lighter-weight composite cores that mitigate conductor sag and enable the incorporation of up to 30 percent more aluminum. More aluminum translates into reduced electrical resistance and decreased line losses for far more efficient power transmission. You’re probably thinking “so what, HCLS/HTLS conductors are two or three times more expensive than ACSR conductors and line losses are a drop in the bucket.” You’re certainly right about cost, but we’ll talk about value and the significance of line loss reductions shortly. Recall that we discussed the importance of generation efficiency, transformer efficiency, demand-side appliance efficiency and smart grid, but we didn’t talk about the efficiency of the grid itself where two to twenty percent of all energy generated is lost due to the electrical resistance of the conductors. In the United States, most experts will peg line losses anywhere between three and seven percent. Obviously many lines that don’t carry much current (and operate cooler) exhibit lower losses. Remember I2R? While line losses in the United States and other developed countries are relatively low, the Indian government pegs line losses in their country at 22 percent (not including ‘commercial’ losses). Even if you’re in the ‘three percent club’ you’d be surprised at how much energy we lose to line losses. To put this in perspective, let’s consider a 100 mile (160 km) 345 kV line. My good friends at one of the larger US utilities just completed 240 circuit miles (386 km) of a similar project, so we will ‘borrow’ a few of their assumptions and clip the project down to a bite sized chunk for our example. Not unlike the real project, the case study considers the need to increase the capacity of an existing ACSR line using ACCC conductor of the same diameter and weight to avoid the need to reinforce or replace existing structures. While the primary goal is to increase the line’s capacity to serve growing demand, the use of the high-capacity, low-sag conductor reduces line losses by 30 percent in this example. Using a load factor of 62 percent and the US national average carbon dioxide emission of 1.372 pounds (0.623 kg) per kWh (which combines all sources of generation including wind, solar, geothermal, muni-waste, hydro, natural gas, coal, oil and nuclear), the net reduction of carbon dioxide in our example would be well over 200,000 metric tons per year. This is the equivalent of removing over 42,000 cars from the road. That’s a lot of Teslas needed to replace them! A regular gas powered car in the US emits ~4.75 metric tons of CO2 per year. On the financial side, line loss reductions in our example at a load factor of 62 percent would save over 300,000 MWh per year. At $60 per MWh this would reflect a savings of over $19 million dollars per year. The cost of the wire is a fraction of that. While line loss reductions offer attractive financial and environmental advantages, a less obvious advantage is that the generation capacity that is otherwise wasted supporting line losses is now available for deployment elsewhere, or in some instances, doesn’t need to be built at all. My back of the napkin calculations (using IEEE 738 equations) for the 100 mile (160 km) 345 kV example at a 62 percent load factor penciled out a 49 MW generation savings. In the United States, home of the newly established EPA’s Clean Power Plan, all 50 states are working hard to figure out ways to reduce carbon dioxide emissions substantially. For the most part the EPA is allowing individual states to formulate their own plans, but they set the bar fairly high and change takes time. In Europe, similar efforts are underway and many options are being considered. Transmission line efficiency will certainly be playing a major role in delivering efficient power on every continent. While coal plants are being mothballed, left to idle as spinning reserve, or completely shut down, and new wind, solar, geothermal, and other projects are being developed to support climate initiatives, it’s very important to consider the efficiency and capacity of the electric power grid itself. Historically, this is relatively ignored territory that offers tremendous opportunity for a very cost-effective means of reaching our climate initiatives, while preparing for the onslaught of electric cars we are about to see parked in our neighbor’s driveways. 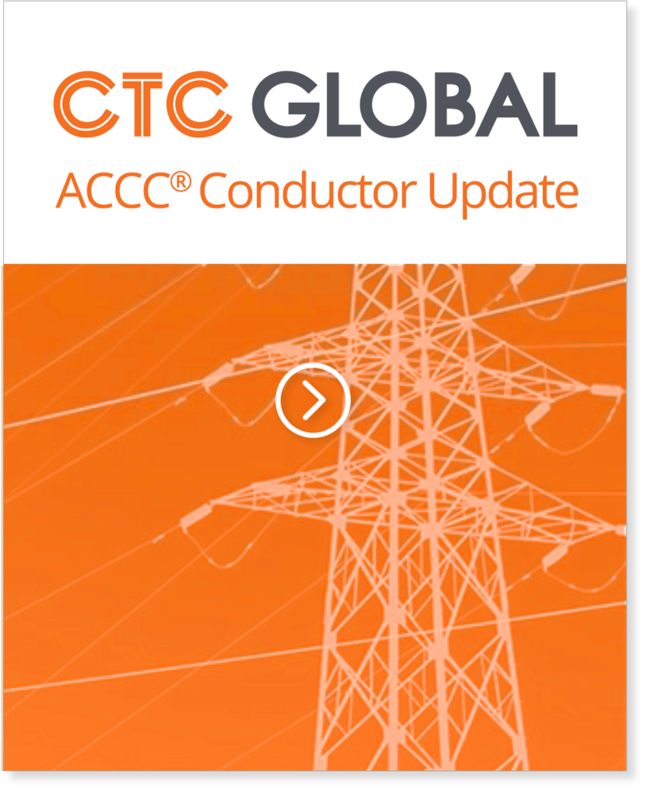 A final point: to date, more than 20,000 miles (32,180 km) of ACCC conductor is currently in service in more than 35 countries. The cumulative carbon dioxide savings considering a number of variables suggests that this efficient power technology has reduced those emissions by over 50 million metric tons over the last ten years. Currently, on an annual basis, ACCC conductor is saving ~12.2 million metric tons per year – the equivalent of removing 2.6 million cars from the road. I think Batman would be impressed. What do you think, fellow superhero?